Voting has begun. Log in to the MEMBERS section to cast your vote. Guild members: Click above to download Awards Show images until April 01, 2019 at no cost! 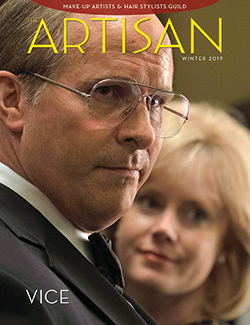 Local 706 recognizes the 2019 Academy Awards winners and nominees for Makeup and Hairstyling and the 2019 BAFTA winners and nominees for Makeup & Hair. The Make-Up Artists and Hair Stylists Guild (MUAHS, IATSE Local 706) announced winners of its 6th Annual MUAHS Awards in 23 categories of film, television, commercials and live theater. 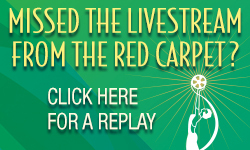 Watch a replay of the MUAHS Awards Red Carpet Live Stream here! Hosted by Frankie Grande on Saturday, February 16. Susan Cabral-Ebert and Robert Louis Stevenson will receive Lifetime Achievement Awards at the 6th Annual Make-Up Artists & Hair Stylists Guild Awards. Timetable announced for the 6th Annual Make-Up Artists & Hair Stylists Guild Awards, honoring outstanding achievements for make-up artists and hair stylists in motion pictures, television, commercials, and live theater. The Make Up Artists & Hair Stylists Guild Awards are governed by the Guild’s President, Business Representative and Secretary Treasurer. Hair and makeup gurus gathered in Beverly Hills for a live-stream Q&A held by the Make-Up Artists & Hair Stylists Guild at the Beverly Center. Watch an encore of the livestream from the Make-Up Artists & Hair Stylists Guild Emmy Nominees Q & A event here!